Don't look like a total loser at your buddy's Puppy Bowl party Super Bowl party this Sunday. 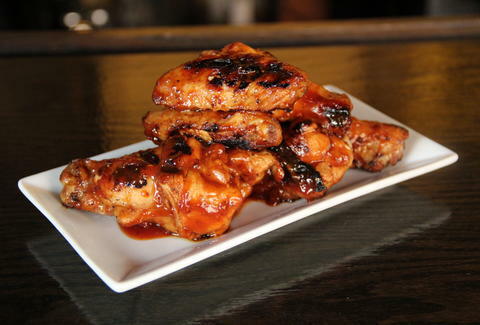 Instead spend less than 30mins firing up these insanely easy-to-make/delicious-to-taste Espresso BBQ Hot Wings from Jon Bohn of Midtown Village bar MilkBoy, which also produced the soundtrack to one of Sunday's game-debuting commercials. No really, they did.